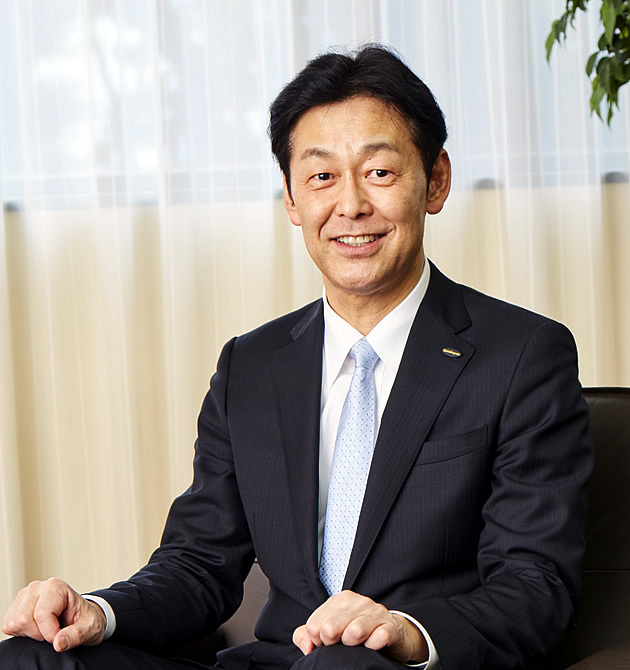 Message from Top Management | ShinMaywa Industries, Ltd. I wish to express my sincere gratitude for your continued support for ShinMaywa Industries. One year has passed since I became president, and in March this year, we completed the activity period of our Medium-term Management Plan "New Challenge 100," which started in fiscal year 2015. With the efforts made by all ShinMaywa Group employees bearing fruit, we were able to achieve our business performance targets in each of the three years covered by the Plan, including the first fiscal year. This spring, we started the new Medium-term Management Plan, “Change for Growing, 2020” (“CFG2020”). Before formulating the Plan, I first reflected on the past three years. Our Group’s profit level has increased compared to past years as the M&A and business takeovers we have implemented so far have been successful. However, we have yet to reach a point where we can actually feel that we have achieved further growth. Moreover, since a tougher market environment is anticipated for some of our businesses, we wish to set out transformation of policies that can be viewed as innovative changes rather than being satisfied with an extension of our existing policies, and execute various measures to fully recognize our own growth after three years. Our new Medium-term Management Plan CFG2020 encompasses such wishes. Our Group’s sustainable growth will eventually lead to the further growth of our customers’ businesses and will also contribute to society. We believe that will be a true enhancement of our corporate value. At the same time, in implementing our innovative changes, we would like to sincerely respond to our shareholders, who support our business, and focus further on rewarding them. Under CFG2020, which was formulated with these various wishes in mind, we have set out two basic policies that serve as the pillars of our activities. We will focus on developing next-generation products using IoT, AI, and other new technologies while strengthening our ability to propose solutions and service systems in order to help customers solve their issues and assist their businesses. We will also focus on capital investments aimed at streamlining production, and development of human resources. We are unlikely to grow further by continuing to focus on business activities in Japan. We will therefore actively work towards increasing profits in overseas markets in all business segments. For this reason, we will first strengthen our marketing structure. For example, we will step up efforts to find partners who have already established a local base; shift from export from Japan to local production, depending on the product; and effectively share managerial resources and deepen collaboration with those in different segments or externally competing manufacturers by overcoming barriers. In addition to the measures mentioned in ① and ② above, if we find partners with whom we will be able to generate synergy in technology, markets, and human resources, we will actively promote M&A and alliances and aim to speedily expand profits. We have shifted from a dividend policy centered on stability that we maintained for a long time to a policy that places emphasis on the payout ratio in an effort to actively return profit to our shareholders. At the same time, we will also focus on capital efficiency and carry out flexible acquisition of our own shares while taking into account the progress of investments that help us achieve growth in our core businesses, such as M&A and capital investments. By conducting business management in accordance with these two basic policies, we aim to achieve the following business performance targets by the end of March 2021, the final fiscal year for CFG2020. Based on these two basic policies, the Group will achieve innovative changes and growth through our activities over the next three years and make sincere efforts so that our stakeholders will fully recognize enhanced corporate value.